Oh Christmas Tree. Oh Fraser Fir Tree. This year, we went back to the Fraser Fir for our family room tree. Or at least we *think* it is a Fraser Fir. This tree is just about ten feet tall and just barely clears our ceiling. 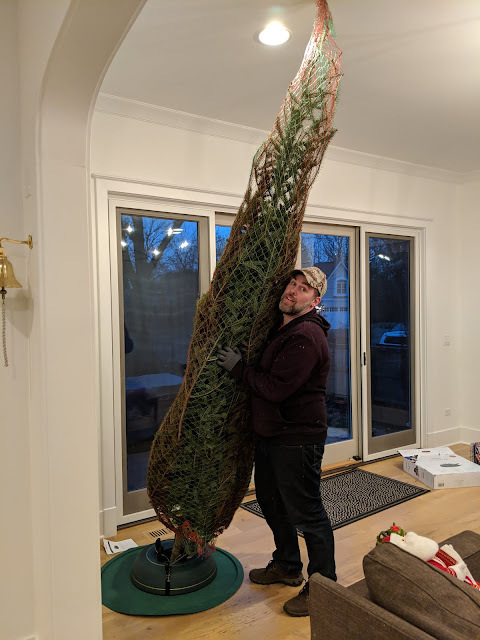 Here (below) is a photo of me installing the tree into the stand (the Krinner XXL stand) to give you a sense for the scale of the height of this tree. Just like last year, our Christmas tree sits in our Family Room - in a corner near our patio doors. Also like last year, we have two trees this year again, but I'll get to the other tree in a separate post. 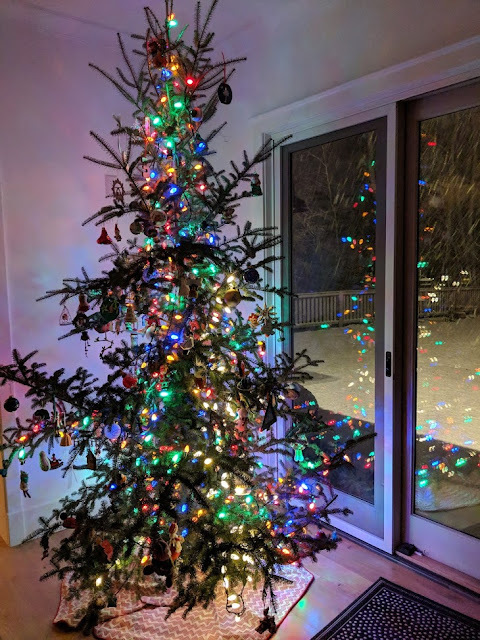 I've posted about our Christmas trees since 2010. That's ten trees that I've posted about on the blog. Three of them were Douglas Firs. Seven were Frasers.